Working widths: 60, 72 & 90 in. Cat. 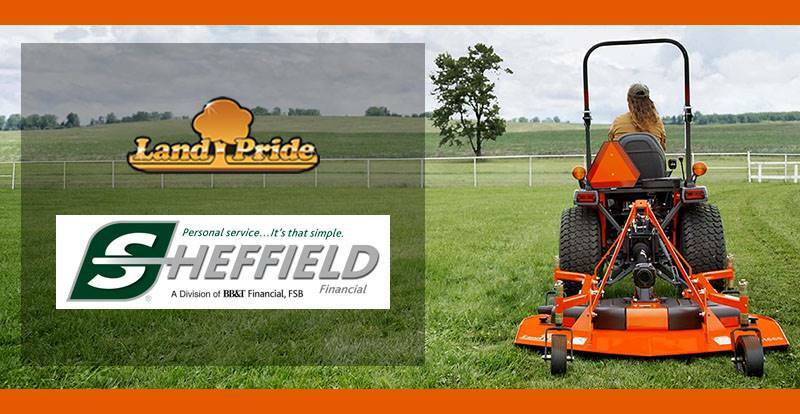 1 3-Point hitch: Fits Land Pride Quick Hitch for easy one-person attachment and removal. Weight: 60 in. - 629 lb. ; 72 in. - 714 lb. ; 90 in. - 865 lb. Heavy construction helps penetrate ground. 2.5 in. Square frame tube: Frame tubing is stronger than angle iron. 4 Adjustable front gang angles / 3 Adjustable rear gang angles: Cutting aggressiveness can be adjusted on the front and rear up to 21 degrees. Adjustable gang handles: Easy adjustment of gang angles. 3 x 2 in. Gang tube, 1 in. Square gang axles, high carbon steel: High carbon square axles offer great strength in punishing conditions. 18 in. 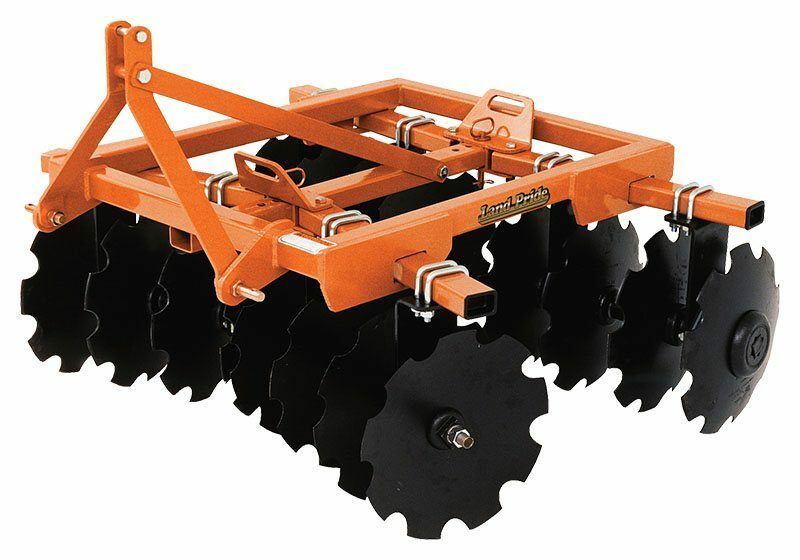 Notched or smooth disc blades: Choose notched blades for more aggressive digging and cutting action, or the smooth blades for light tilling. 0.38 in. Thick bearing hangers with two 0.63 in. U-bolts: Heavy-duty hangers resist the high torque from U-bolts and/or keep the discs out of the ground. Self aligning sealed bearings: Self-aligning bearings offer long life while pounding through hard ground. Optional scrapers: Scrapers will clean the discs off which can plug up and/or keep the discs out of the ground.